The Jesus And Mary Chain, Faith No More, Kiesza, GoldLink, Billy Talent, Noel Gallagher’s High Flying Birds and more! 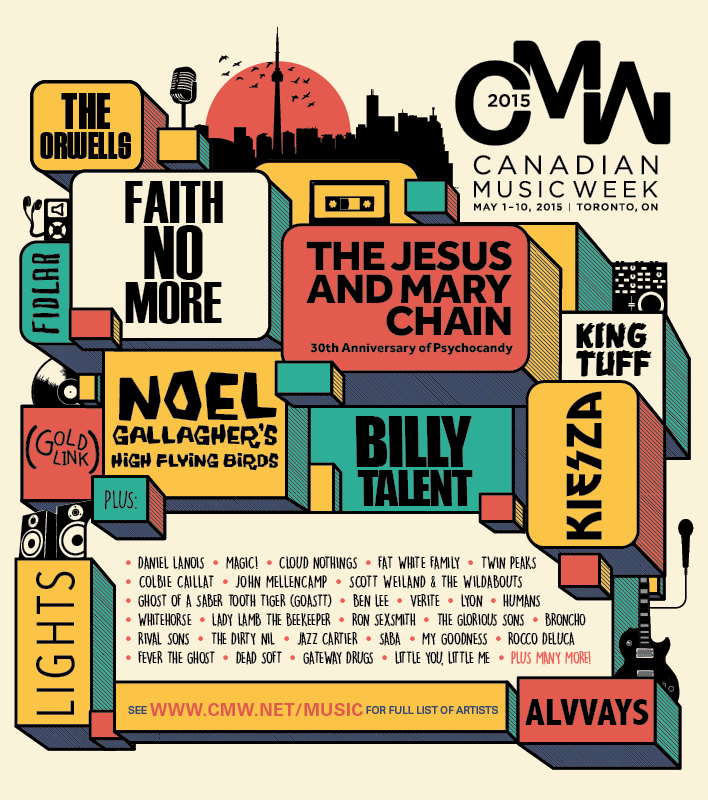 Canadian Music Week (CMW) announces a stellar list of headlining artists as part of its 2015 festival programming including: The Jesus and Mary Chain: 30th Anniversary of Psychocandy, Kiesza, GoldLink, LIGHTS, FIDLAR, King Tuff, Billy Talent, Noel Gallagher’s High Flying Birds, Cloud Nothings, Daniel Lanois and more (see full list below). This year will once again feature The Concert Lottery. Offering CMW wristband holders the chance to guarantee a spot at some of the larger shows during the festival – and sometimes the only way in to a sold out show – and the opportunity to optimize their time during the festival. Now spanning 10 days CMW will showcase over 1000 bands at more than 60 live music venues in downtown Toronto, May 1st-10th. Stay tuned for more programming announcements!